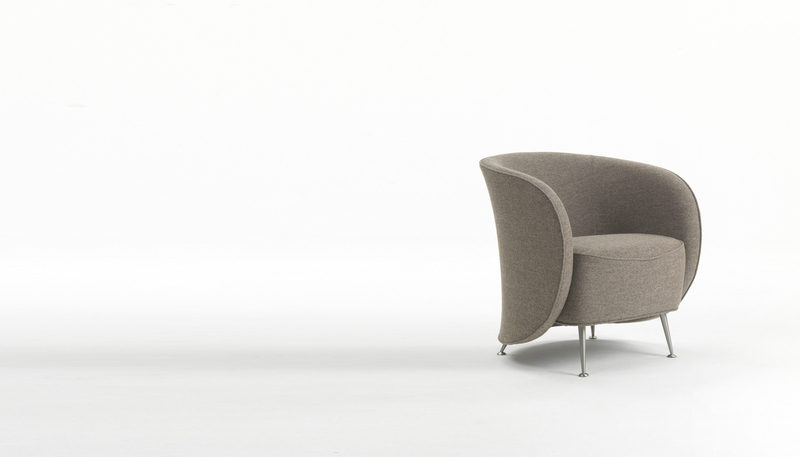 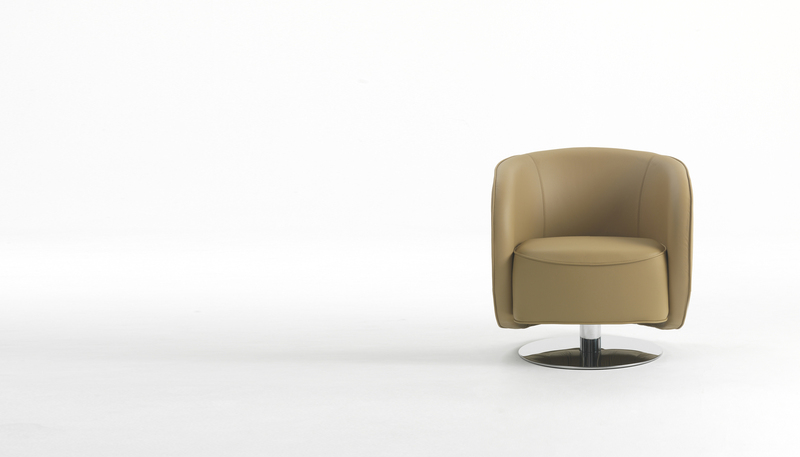 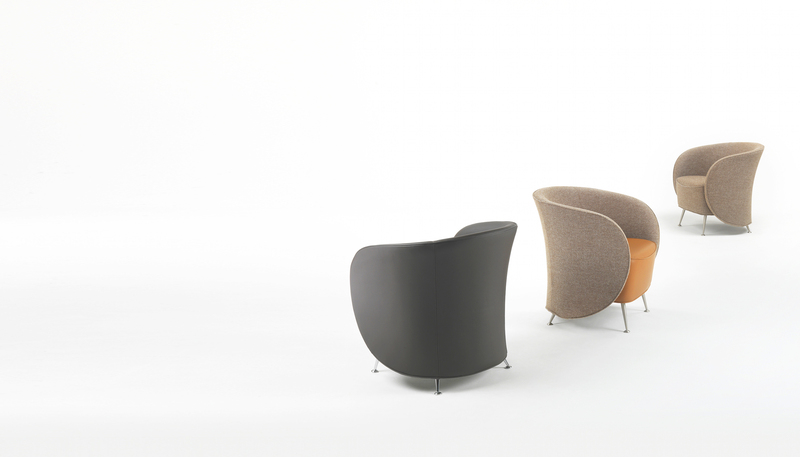 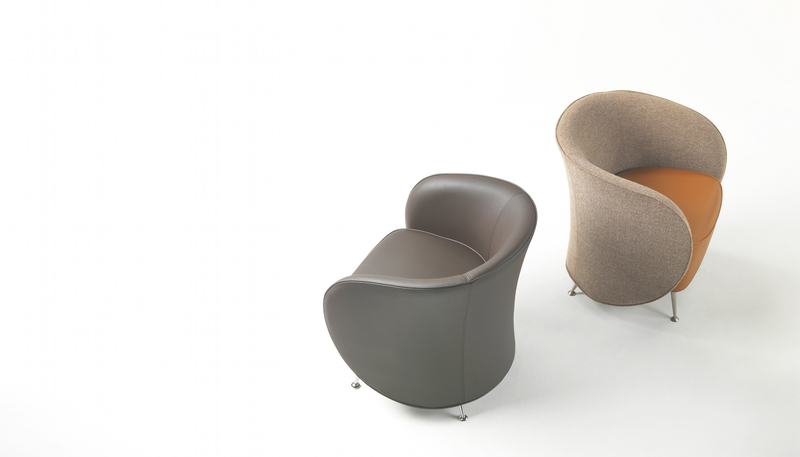 Contract armchair with curved lines, available with metal feet or swivel base. 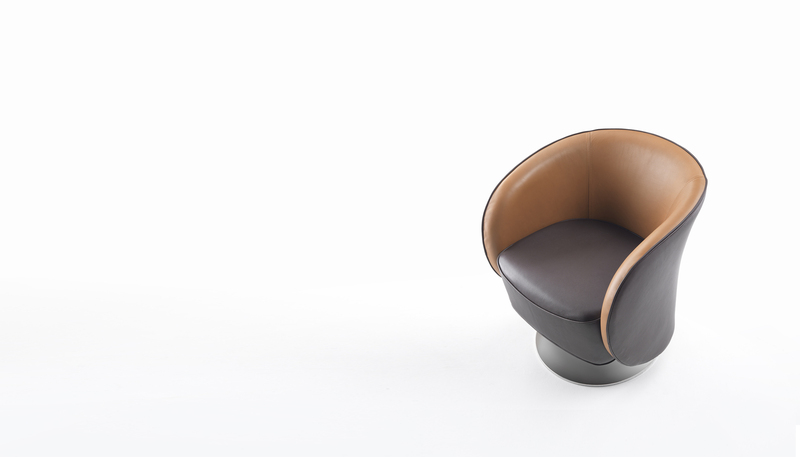 Well can be in fabric, leather or artificial leather, or in a combination of materials to individualize the armchair according to your needs. Well is fit for any kind of contract project, from hotels, to lounges and shops.